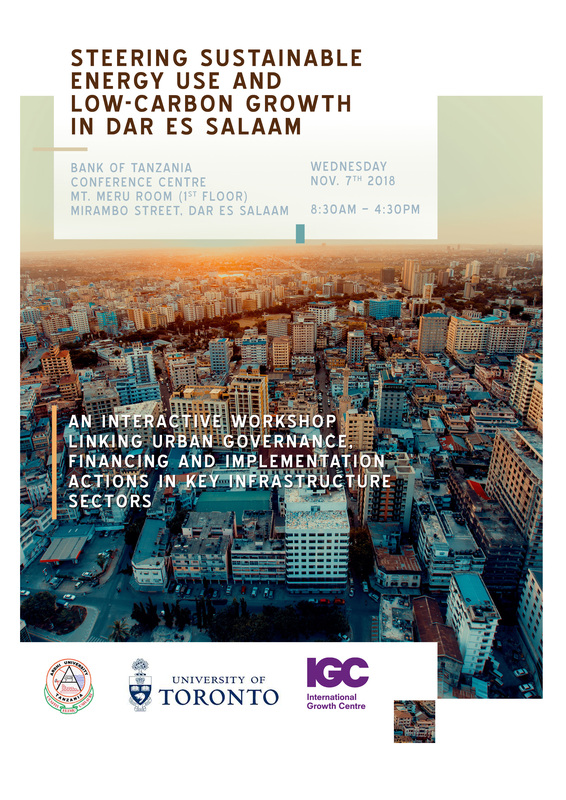 IGC (Tanzania) is hosting a stakeholder workshop aimed at fostering a comprehensive agenda for low-carbon growth and sustainable energy use in Dar es Salaam. The workshop is being hosted in collaboration with researchers at the University of Toronto, including Ms. Chibulu Luo, Co-Principal Investigator on the new IGC Small Grant Project on “Energy-Efficient and Resilient Urban Development in Dar es Salaam”. The event brings together a diverse group of stakeholders to engage in a dialogue on governance and financing strategies for steering low carbon growth in key urban energy use sectors, particularly energy production, transportation and waste management.